ChargeIt by Jay Platinum Rope Rim Round Charger Plate 13"
Home > Products > ChargeIt by Jay Platinum Rope Rim Round Charger Plate 13"
Turn any event into a glamorous occasion with the ChargeIt by Jay Platinum Rope Rim Round Charger Plate 13". 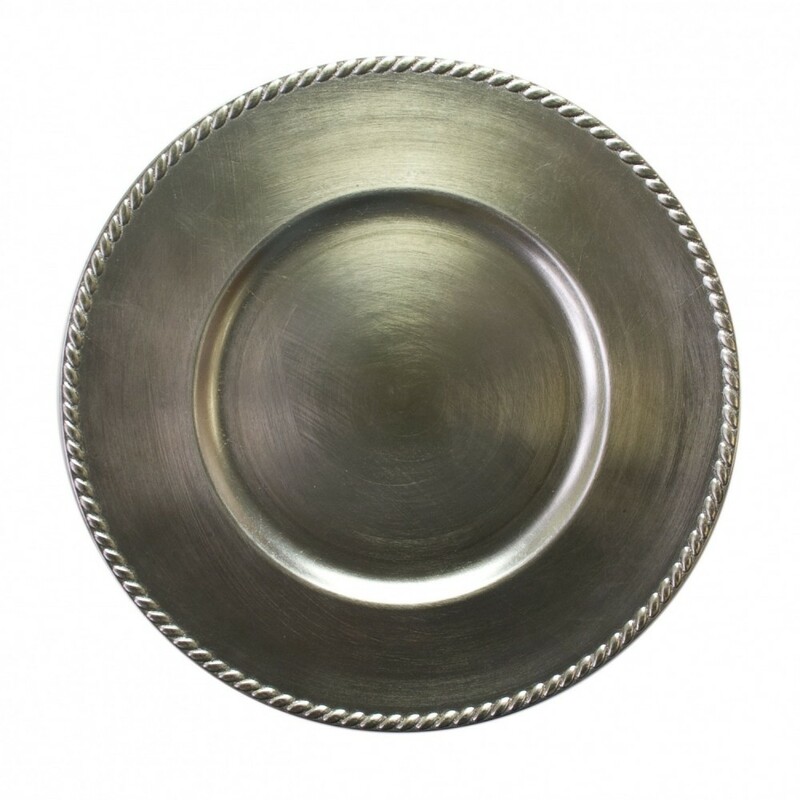 Featuring a lustrous silver finish and intricate braided rope embossing, this product adds a classic yet sophisticated touch that enhances the table decor at fine dining establishments. This decorative and economically priced piece coordinates well with any dinnerware collection, making it an excellent addition to weddings and upscale banquets. Made from high quality melamine, this break-resistant charger is exceptionally durable for years of use. Combining style, longevity, and functionality, this charger plate accommodates all types of dinnerware and provides protection against spills and mess. For proper cleaning and maintenance, hand washing is recommended.